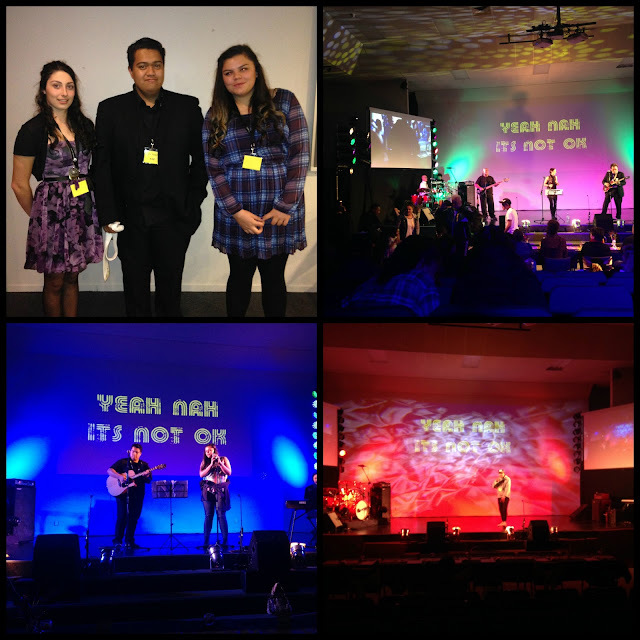 Some of our Tarawera students performed original songs at the 'Yeah, Nah It's Not Okay' Song quest on Saturday night. The purpose of the event is to raise awareness of anti violence and bullying. It was great night with lots of talent, there were groups from all over the Bay of Plenty performing. We had a group of seniors Bless Maxwell, Keesha King and Somer Richardson perform an original song which is part of their evidence for their 6 composition credits for in music. Hohepa Waenga received an award for the lyrics for his original song. Here are a few pictures from the evening.